Playing Star Ocean: Integrity and Faithlessness, I couldn’t shake the feeling that I was playing a completely different game to other reviewers. Maybe the lukewarm reception tempered my own expectations somewhat, but what I played was a good game—a great game, even. There are a lot of minor annoyances that could have been easily fixed up, and it would have been an even better game had that been the case, but as it stands, Star Ocean: Integrity and Faithlessness is a solid and captivating JRPG. Like all the Star Ocean games, Integrity and Faithlessness is a science-fiction game that’s focused less on space travel and conflict, and more on the complexities of civilizations with vastly different levels of technology coming together—it’s less Battlestar Galactica, more Star Trek. This time around, the setting is the wartorn planet Faykreed IV. Although it’s a world of medieval development, an advanced civilization called Kronos has broken intergalactic treaties and is using their own technology to assist one side of Faykreed’s war, setting a pair of agents of the Pangalactic Federation and the Faykreed locals they join up with on a journey to save the day. This premise means that Star Ocean: Integrity and Faithlessness takes places almost entirely on Faykreed with little in the way of travel to other planets. This is something that many have criticised, but I think the game benefits from this. The story is as much about Faykreed itself as it is about the characters, and the focus on a single planet allows that to be explored in depth. This has been the case for almost every other Star Ocean game, too—in Star Ocean it was Roak, in Star Ocean: The Second Story it was Expel, and in Star Ocean: Till the End of Time it was Elicoor II. Star Ocean: The Last Hope is really the only game in the series that’s taken a planet-hopping approach, and that, frankly, was a weaker game as a result. Faykreed alone makes for plenty of varied locales, from the JRPG staples—fields, forests, deserts, snowy tundras—to more sci-fi oriented designs in the form of Kronos facilities. The areas themselves are absolutely gorgeous, even if they do feel a bit empty. The exception to this is towns, which are some of the liveliest and most vibrant I’ve encountered in this genre. NPCs are plentiful, and they take on a life of their own thanks to their ability to talk even when not spoken to—I know, I know, this is revolutionary in a JRPG. Sometimes these comments are pertinent to your quest, but most of the time, the NPCs are just going about their own business. This goes a long way to making the planet feel alive and inhabited, adding a layer of significance to the politics and war driving Faykreed’s peoples. That’s not to say Integrity and Faithlessness is a deep and complex tale of political intrigue akin to something like Final Fantasy Tactics. Faykreed’s war is a simple one of heroes and villains; it’s a story carried by its cast and the roles they play in shaping the world’s future more than the high-level tides of war. It’s a great cast, too, even if the characters do stick a bit too close to JRPG and anime tropes—the youth with daddy issues, the goofy ladies’ man, the sultry sorceress, the cute and innocent girl-next-door love interest. This isn’t necessarily a bad thing, and as cliche as they may be, there’s a genuine sense of depth and character to each of the Integrity and Faithlessness’ heroes. I have my favourites, of course, but there isn’t a one among them I don’t like, and that’s a rarity. Even Emmerson, the archetypal ladies’ man that I usually find so tedious, manages to be endearing—more of a loveable rogue than a lecherous pervert. I love the cast enough that when it comes to battle, I’d have been hard-pressed to choose just three or four for the main party, but Star Ocean: Integrity and Faithlessness doesn’t ask that. Instead, it lets you bring your whole gang into every battle—seven people at full party. This might seem like a minor thing, and I guess in the grand scheme of it it is, but, for me, this is huge. I get frustrated by JRPGs almost always forcing me to choose a party of three or four from a cast of six or more, and having that weight lifted from my shoulders in Integrity and Faithlessness was welcome. No more worrying about trying to keep my the levels of my “B-team” up to scratch, no more worrying about my most-liked characters not forming a well-balanced party. 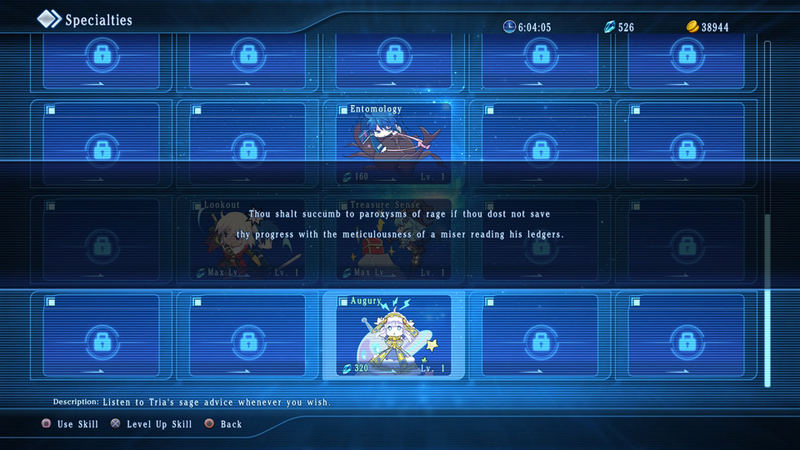 You’d expect this to lead to battles that are busy and chaotic, and they are, but not any more than previous Star Ocean games. Like those, Integrity and Faithlessness has you controlling one character directly in real-time while the rest of your party does their own thing according to their AI, so having extra feet on the ground doesn’t really make much difference. Some of the tougher fights, mainly around optional encounters, may require a bit more micromanagement, but items and spells can be selected through a pause-based menu system, so, again, the bigger party doesn’t really make a difference. The AI for the characters not directly controlled is guided by battle roles, which might be Star Ocean: Integrity and Faithlessness’ most interesting innovation. Where previous titles in the series, and most other games with similar battle systems, simply have you choosing from a list of AI styles—“All out attack”, “Focus on Healing”, “Conserve MP”, and so on—this time around, it’s a point of character and party growth. Battle roles determine how a character behaves in battle, but they’re not as far-reaching as overall AI settings. The Attacker role, for instance, will “attack aggressively and often”, while the Ace role prioritizes attacks on weakened foes. The Healer role has its user concentrate on healing, but they’ll still attack as well when they can; the Princess role, on the other hand, makes the user stop fighting and put all effort into healing. The scope of each role, individually, is quite limited, but each member of your party can have to four equipped, so you can combine them to create some quite complex AI setups. Furthermore, each role also comes with stat bonuses and the like that can be levelled up, and additional roles are unlocked by various means. Instead of being a set-and-forget aspect of the game, Integrity and Faithlessness makes party AI a key aspect of character growth and battle preparation. The other new addition to combat is a rock-paper-scissors mechanic in the form of guard, weak attacks, and strong attacks: guarding lets you block and counter weak attacks, strong attacks shatter guard, and weak attacks can interrupt the startup of strong ones. It’s an interesting setup that doesn’t quite work as well in practice as it should, due to the generally chaotic nature of battle making it difficult to read and react to opponents. The game doesn’t do a great job of encouraging its use, either; you’re told about it in a tutorial right at the start of the game, and can more or less ignore it from then on with little consequence, especially on easier difficulties. That said, if you put the effort in to master its intricacies, this system adds a welcome level of tactical depth to battles, and is vital for surviving some of the harder optional encounters. Like many an action game, these fights are about recognising patterns in order to anticipate and counter attacks appropriately. Doing so not only helps keep the damage your party receives down, but is the only reliable way to fill the Reserve gauge, giving you access to powerful Reserve Rush attacks. Like I said, it’s not as well implemented as it could be, especially when it comes to encounter design making it integral to the experience, but it’s a very rewarding system if you’re able to make the most of it. A lot of the criticisms raised by other reviewers are fair—there are a lot of minor annoyances that would have been easily solved and made the Integrity and Faithlessness much better as a whole. The camera can be frustrating and unhelpful, though I found that turning down the sensitivity made it tolerable. The use of save points in lieu of any sort of autosave system seems archaic, especially without any sort of continue function—game over means back to your last save, which is frustrating. It’s not as bad as Star Ocean: The Last Hope at least, where you’d sometimes go for hours without a chance to save, and the annoyance certainly isn’t lost on the localisation team. Sidequests initially do what sidequests do best—encourage you to explore the world and go off the beaten path—but the sheer volume of them and lack of variety means they can grow tedious. The same is true of Personal Actions; they’re great insights into the minds and motivations of the cast, but there are so many and towns update with new PAs so frequently that seeing all of them can be an ordeal. As visually striking as the maps are, there’s a sense of emptiness about them, with little in the way of points of interest other than harvest points and enemies. But again, these are small qualms that hardly detract from the game’s strengths: a robust combat system, an interesting story carried by delightful characters—JRPG tropes notwithstanding—gorgeous music and presentation, and a wealth of sidequests, optional objectives, and postgame content. It may not quite reach the level of Star Ocean: The Second Story, but that’s a damn high bar and Integrity and Faithlessness is by no means a bad game for not reaching it. This is a great Star Ocean game through and through, and I don’t think fans of the series could ask for much more than that. 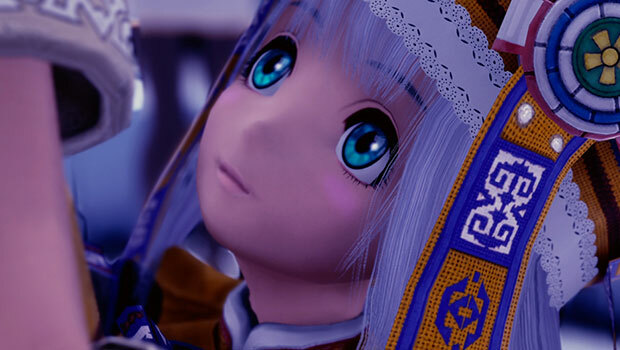 Star Ocean: Integrity and Faithlessness is developed by tri-Ace and published by Square Enix. It’s available now for PlayStation 4. A press copy was supplied by Square Enix for this review.